EC 2/10 'Seine' Fighter Squadron owns two escadrilles. The first, also always known as 'Cercle de Chasse de Paris' originated during 1934 as CARCP (Regional Fighter Air Circle of Paris) to become, in 1937, the ERC I/561 (Regional Fighter Escadrille)and, from 1st January 1938, the first escadrille of GARC I/561(Regional Air Fighter Group). The second escadrille of EC 2/10 is SPA 76 which was created as C 76 in November 1916; flying Caudrons was next N 76 with Bébé Nieuports and SPA 76 when receiving SPAD in 1917 to work with the 5th Army. The unit was disbanded in February 1919 to come back on 1st January 1938 as second escadrille of GARC I/561. The pair so was linked and from here their aircraft never had the eagle with a pennant of SPA 76 as said about picture 30. With the war they respectively became 3rd and 4th escadrille constituting the Fighter Squadron GC III/10. The story of modern 10th Fighter Wing is so tortuous and complicated that I am forced to limit me to tell that it came to existence on 1st April 1951 as an active reserve unit and this from centers devoted to training of active reservists existing at Rabat in Morocco and Villacoublay near Paris. The Villacoublay center gave Squadrons 1 and 2/10 while the one of Rabat provided elements becoming 3/10 devoted to training and calibration duties. Aircraft alloted were Republic P-47s and Morane-Saulnier MS-472 Vanneau two-seaters. 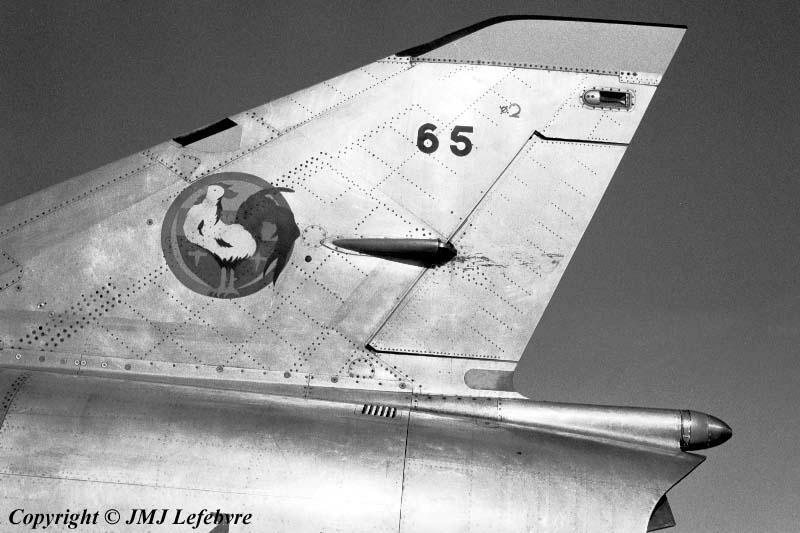 From 1954 to 1972 the squadron ( it really became EC 2/10 'Seine' during March 1955 with traditions exposed above) flew Vampires (1954-1956), Dassault Mystère II Cs (1955-1957), Dassault Mystère IV As (1957-1959), Dassault Super Mystère B2 (1959-1968), Dassault Mirage III Cs (1969-1985), the 10th Fighter Wing being disbanded on 27 June 1985.